In cold climates many gardeners grow their cacti and succulents indoors or in greenhouses. That’s why they need sound advice on coping with greenhouse pests. By far the best title around on this subject is “Ball Identification Guide to Greenhouse Pests and Beneficials” by Stanton Gill and John Sanderson. This was published by Ball Publishing Co.
Dr. Sanderson is an associate professor of entomology at Cornell University. Gill is well-known as an expert on integrated pest management (IPM). He is principal extension regional specialist with professor rank at the University of Maryland Cooperative Extension Service. In that capacity he works with Maryland greenhouse growers and nurserymen and teaches classes on IPM. The book begins with a great discussion about IPM and how it can be used to control greenhouse pests of all sorts. It is a great title for organic gardeners because it stresses biological controls rather than chemicals. The two major sections deal with ID of the major greenhouse pests and ID of the plant damage done by these pests. Part 1 deals with ID of Major Pests. 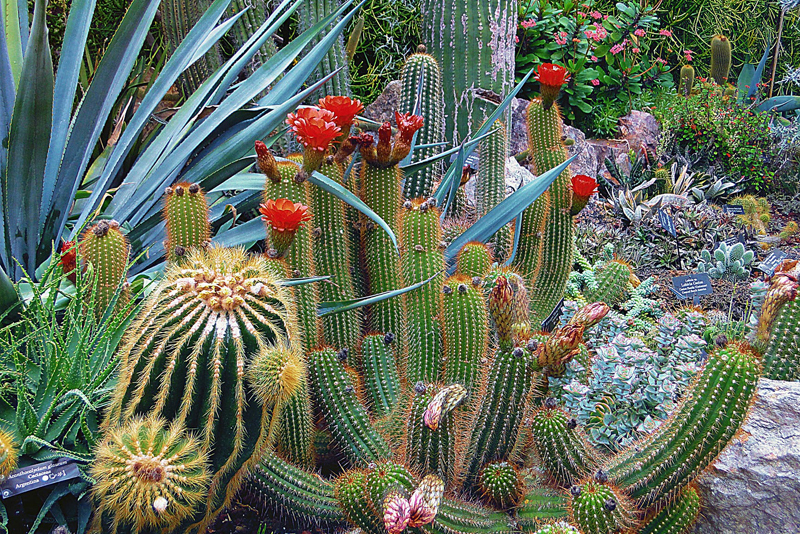 It includes a separate chapter for each kind of pests, such as scale insects, mealybugs, and mites, all of which attack cacti and succulents. For each individual category of pests, there are lots of color photos showing the pests and the damage they do. In many cases there are line drawings of the pests. This is the main section of the book, and has all the information you will ever need in coping with these pests. First there is a general description of that category of pest, the damage it does, characteristics and biology of the pests along with details on monitoring and biological controls. Part II deals with the ID of plant damage by specific plants. It includes various succulents, such as portulaca, Epiphyllum, and Kalanchoe. If you aren’t sure what pest might be causing your problem, this is the first place you should look. Once you have identified the culprit, you can then go back to the Part I to learn more about it. The glossary defines the different terms used in the book, and will be very useful. In addition, there is a very complete index. All in all, this is a very useful book.